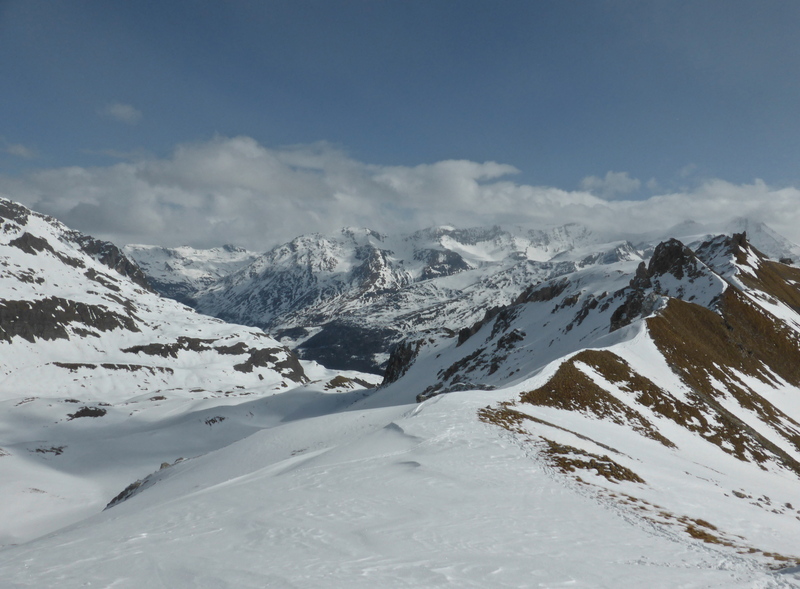 There was a lot less snow on the hike up to the Col de la Sachette today than a few days ago, but at least we could see where we were going and the sun came out too. 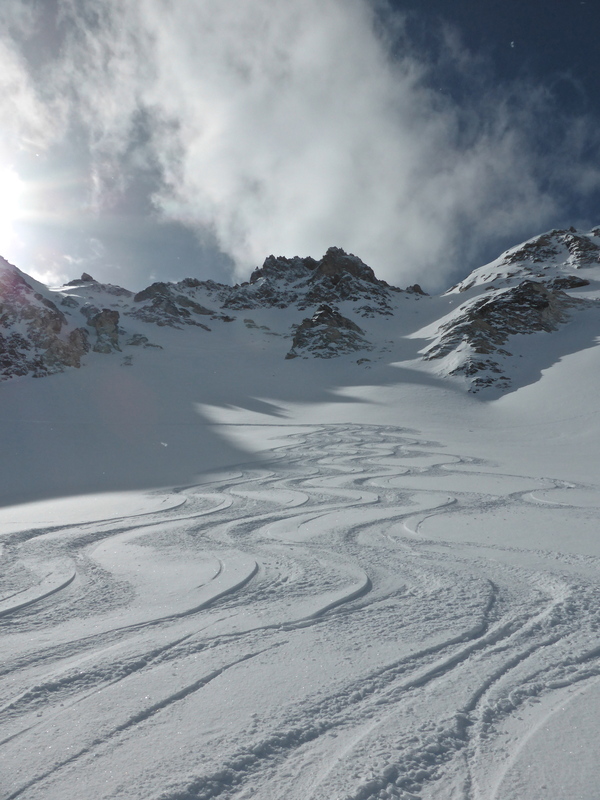 Surprisingly, there was some lovely untracked – wind-blown – powder. 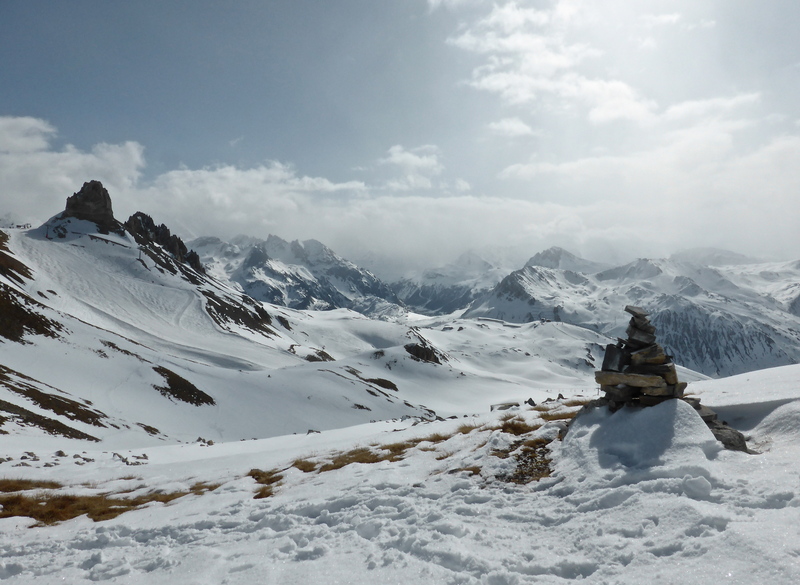 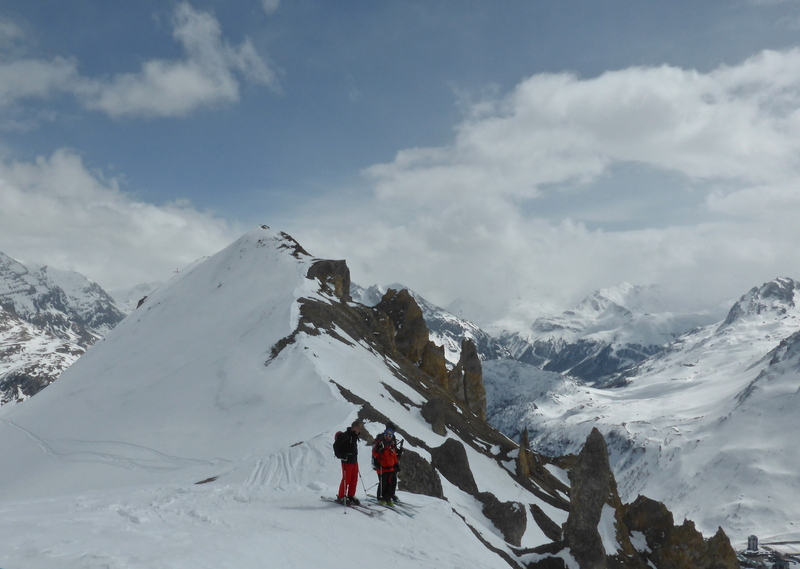 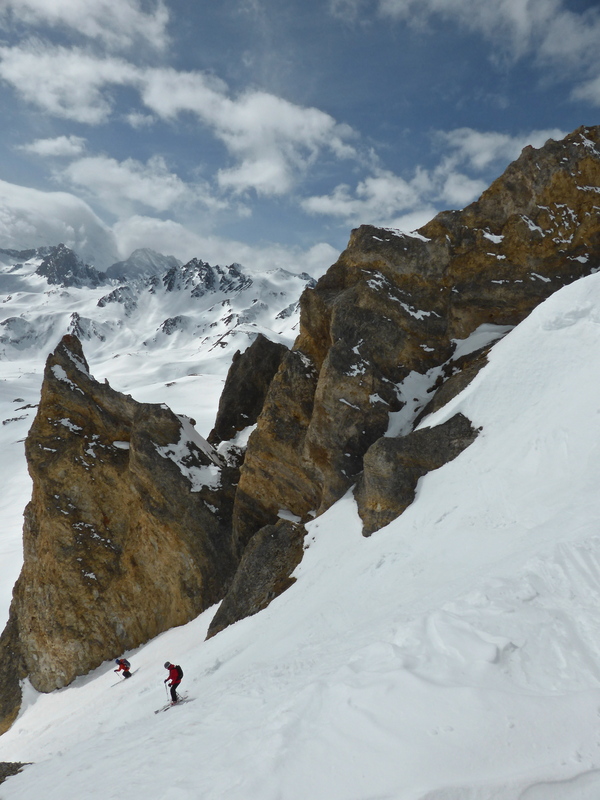 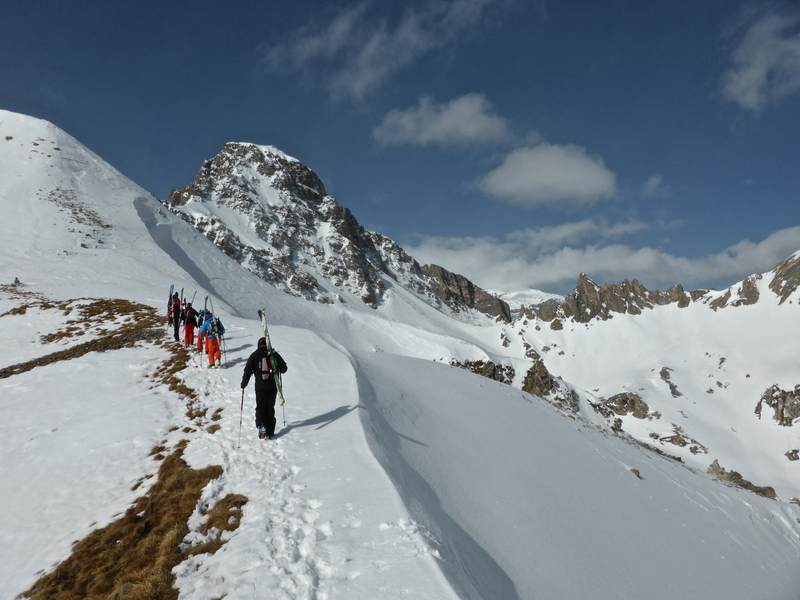 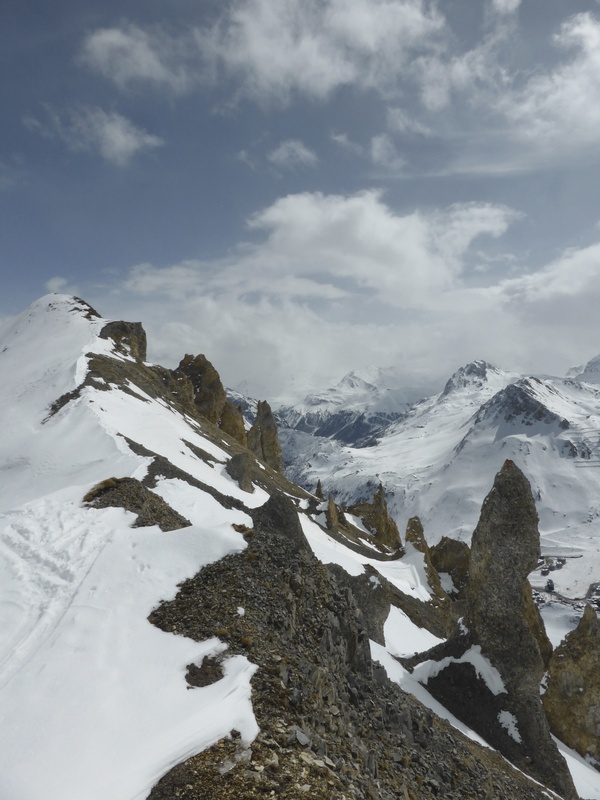 On our way back, Andreas took us over to the Aiguille Percée, along the corniche, and down to Tignes again on transformed spring snow – a few times.